The Course Rating for IM Wales is -26:14. There is no clear favorite, a lot of the top rated athlete have similar capabilities – which promises an exciting race! 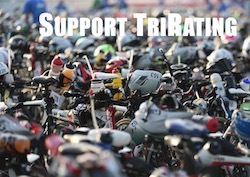 In addition to these numerical favorites there is Jesse Thomas who races his first Ironman.